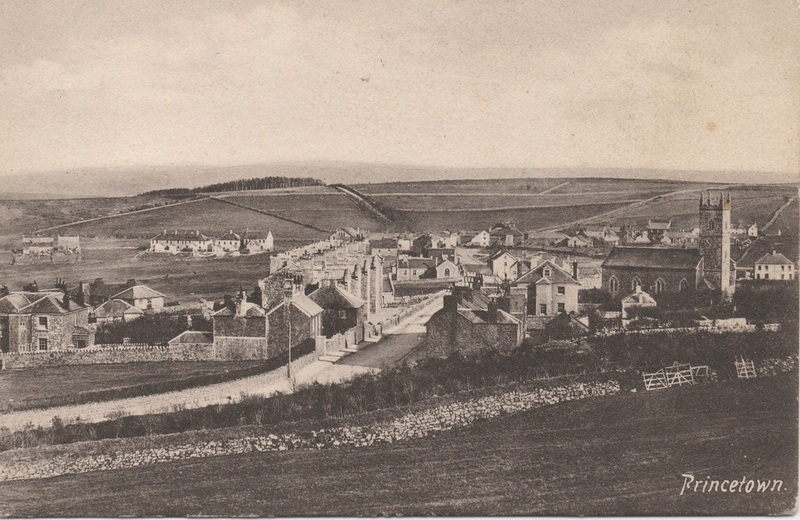 Views of the village taken from outside. 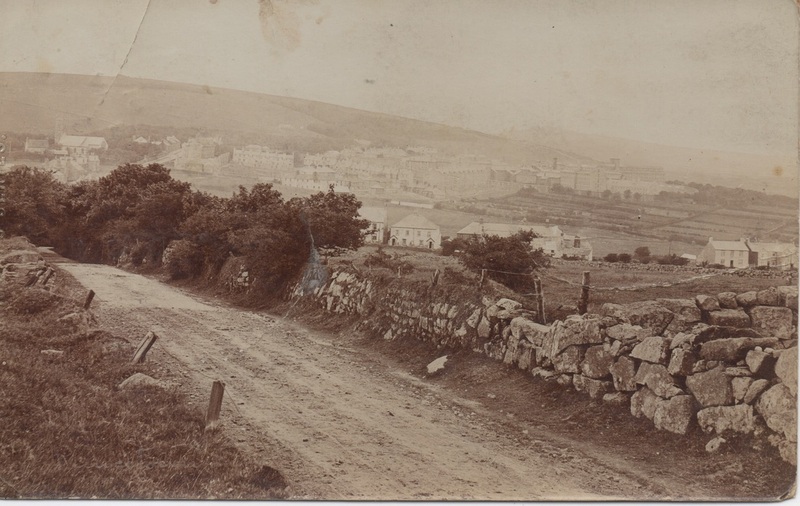 A fascinating picture by an unknown photographer and probably part of an album of local views. 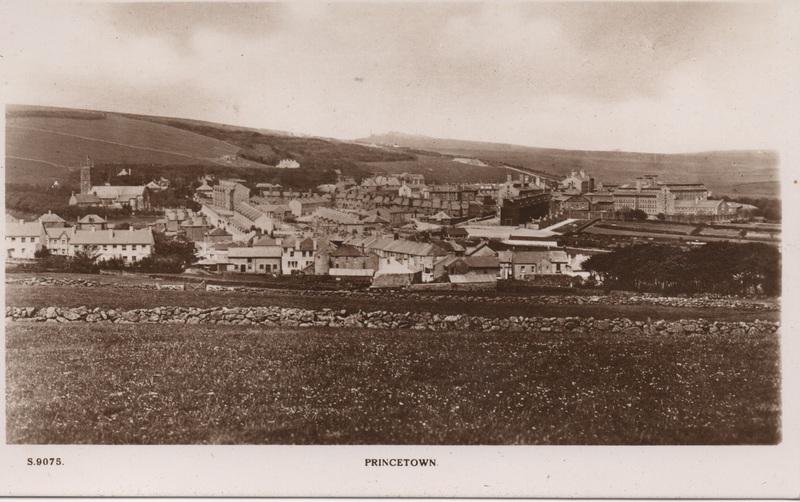 The picture is entitled 'Princes Town', and seems to date from, I would estimate, the 1870's. 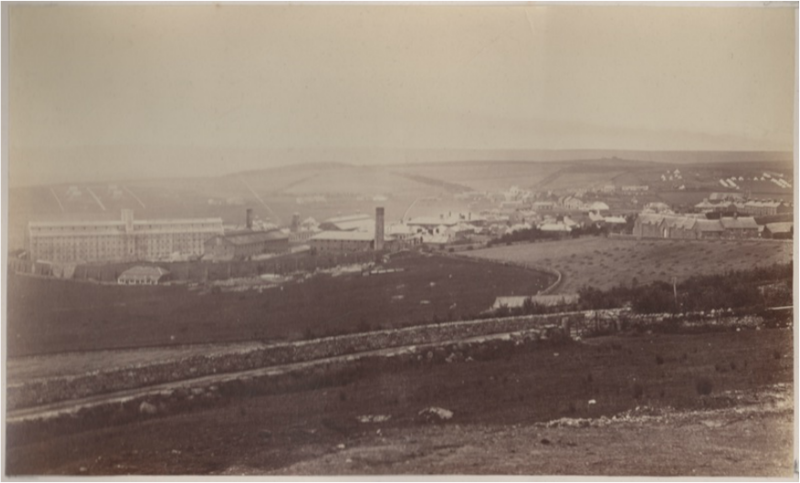 In the top right can be seen a military encampment in the fields beside Plymouth Hill. 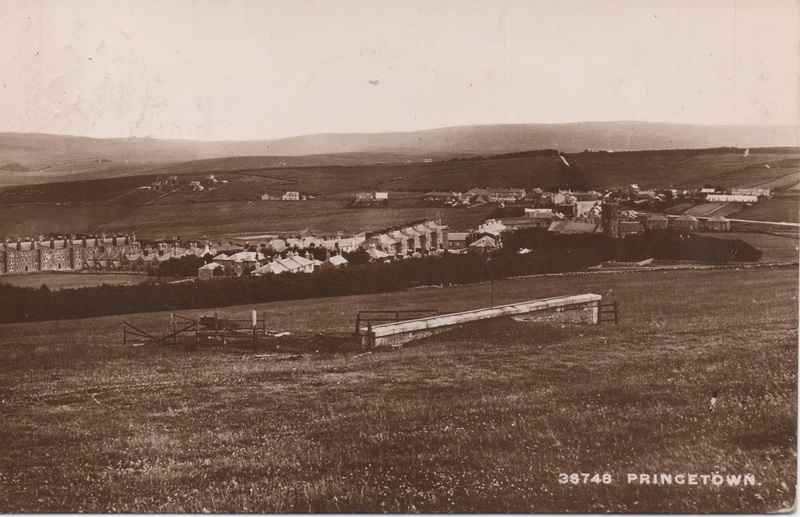 An early undated Frith's view of the village. 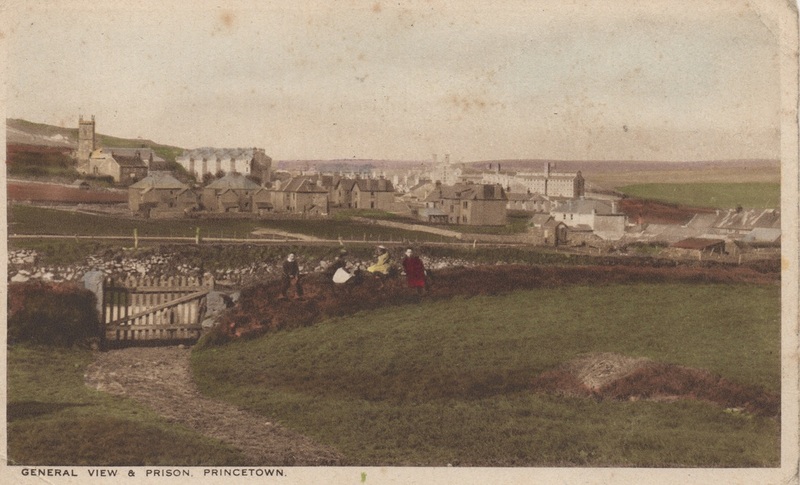 Although this card published by W. E. Tooker of Princetown is postally unused, we are in the unusual position of being able to date it to a precise year. 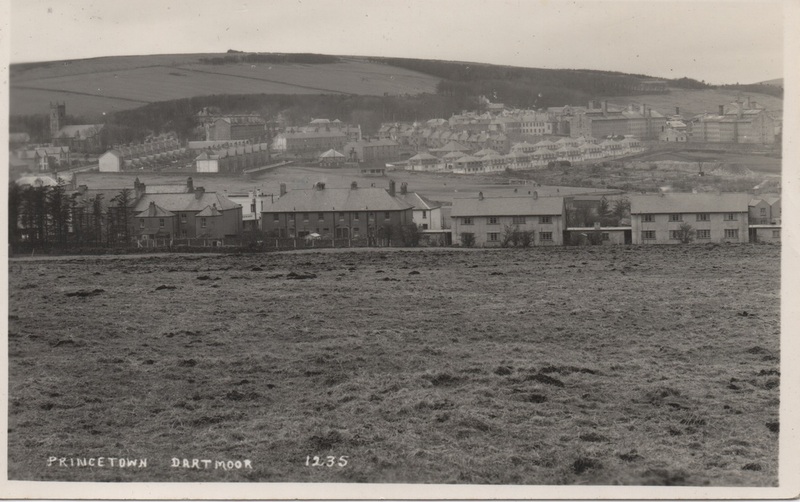 To the very far left of the scene we can see the block of Blackabrook flats (Blackabrook House, or A Block) and next to it the rear of one of the rows of houses in Burrator Avenue. In fact close inspection reveals that the end house has scaffolding around it - they are still under construction. 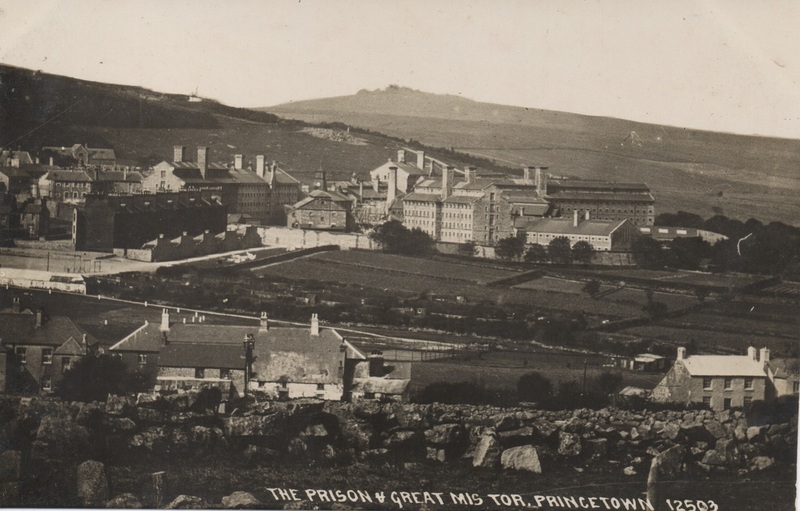 According to Ron Joy's history of Dartmoor Prison this block (B Block) was commenced in 1890, making this view possibly one of the earliest photographic post card views of the village. 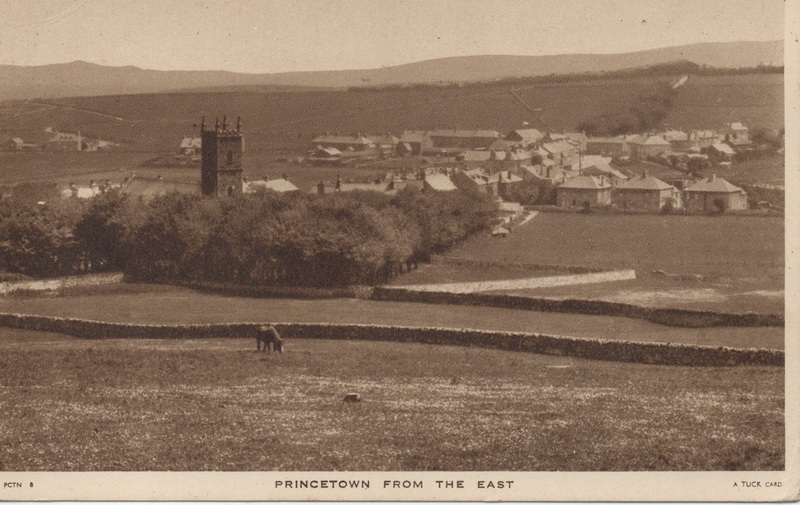 A card published by W. E. Tooker, Post Office, Princetown. 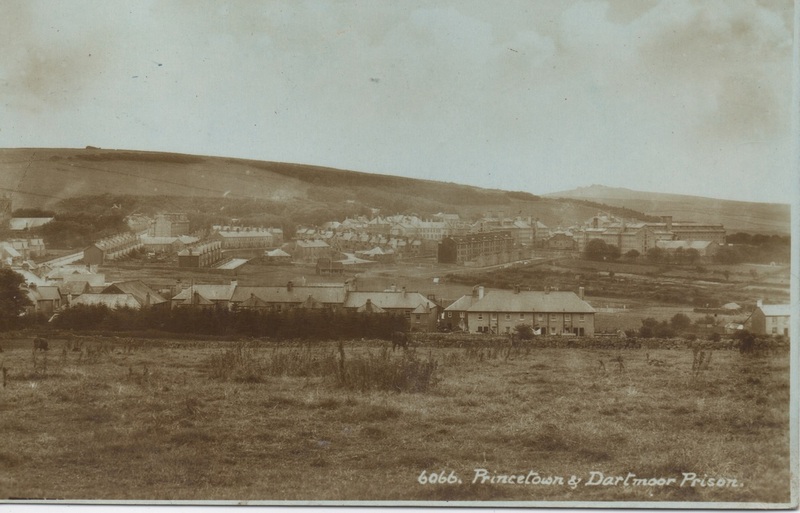 Sadly the postmark is smudged, but the date appears to be either 1913 or 1915. 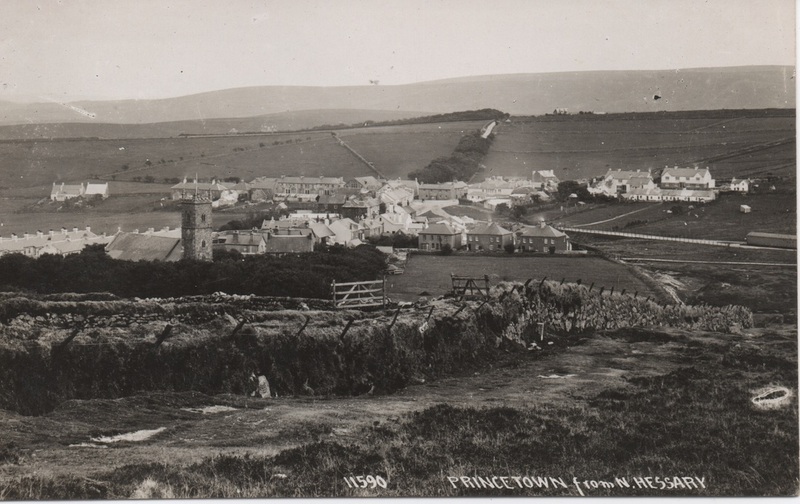 An undated Tuck's card of Princetown from the East. 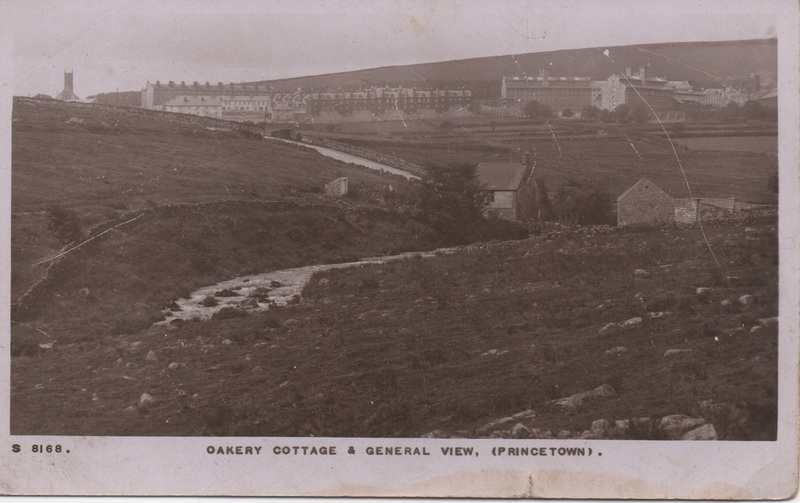 An undated W. H. Smith Kingsway series card. 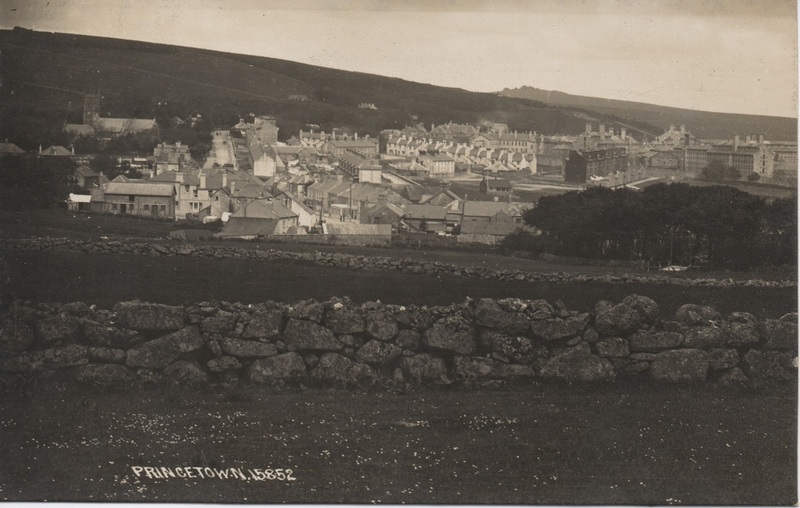 Published by Walter E. Tooker, Claremont Tea Rooms, Princetown, Devon. 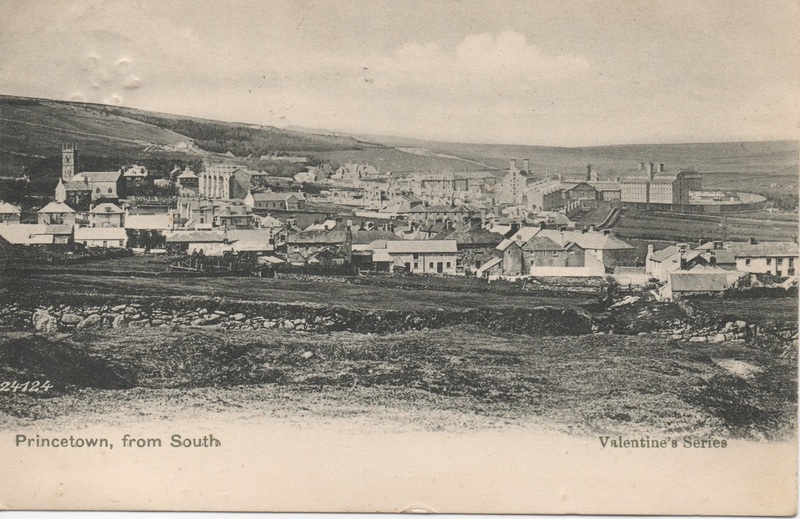 A Valentine's Series card, entitled Princetown From The South. S/N: 24124. 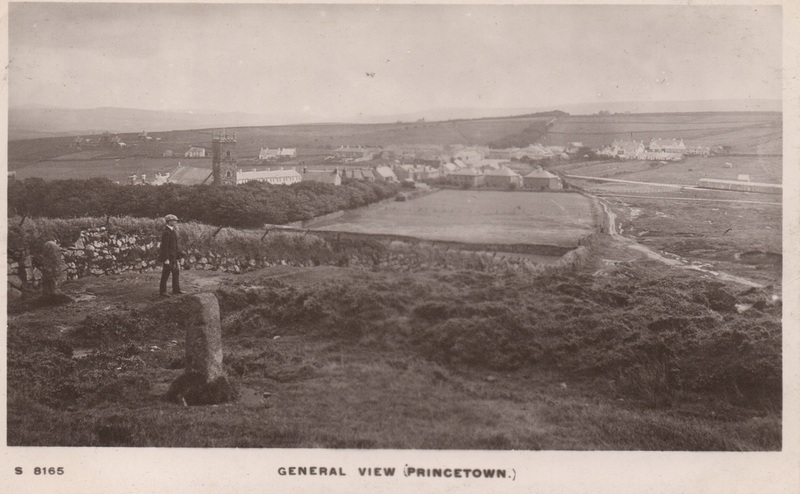 The card was posted from Princetown October 3rd, 1904. It was sent to F. T. Bode Esq, Northwick, Malvern Link, Worcestershire and reads - "This is the highest town in England. 1500ft. It is very bleak and wild. A tremendous wind blowing. How is Banbury? E.M.B. 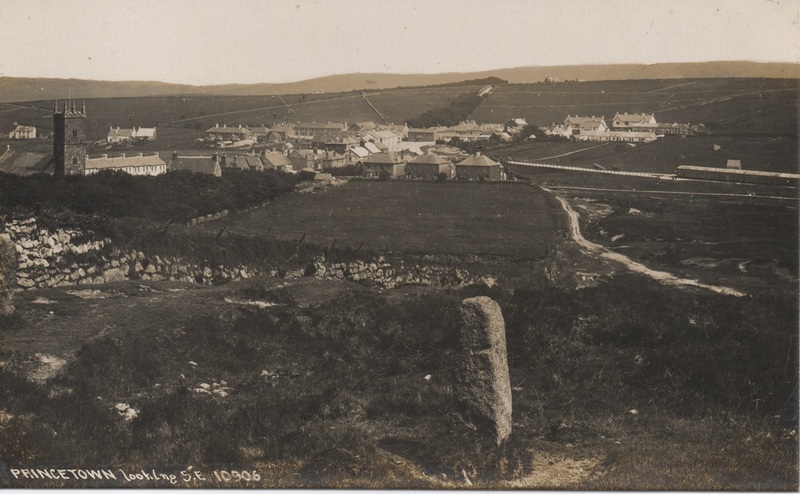 3,X,1904"
An aerial view of Princetown published by Photo-Precision of St. Albans. Unusually we can assign an exact date to this photo. The original can be viewed in a zoomable version at the excellent Britain From Above website here. 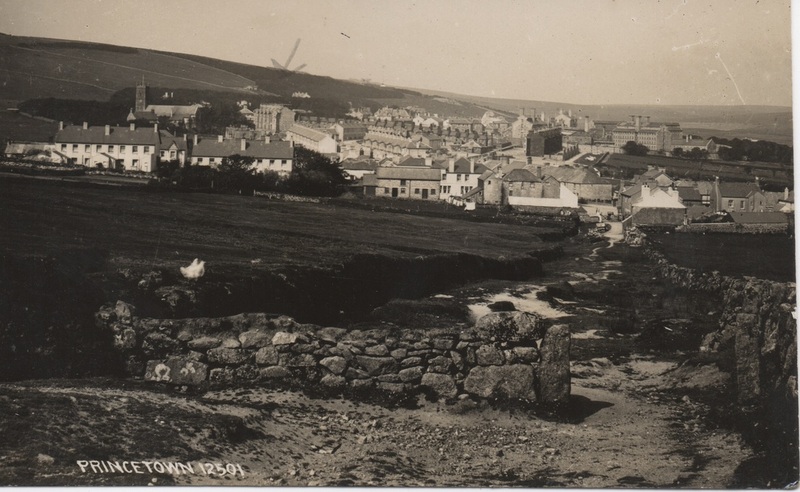 That site gives the date of this picture as July 1930. 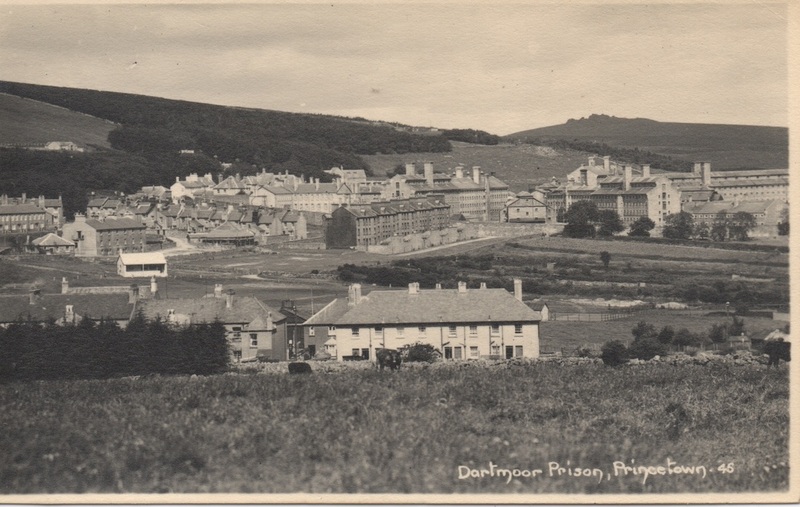 A Chapman card postally used 27th August 1935, but taken at a much earlier date. 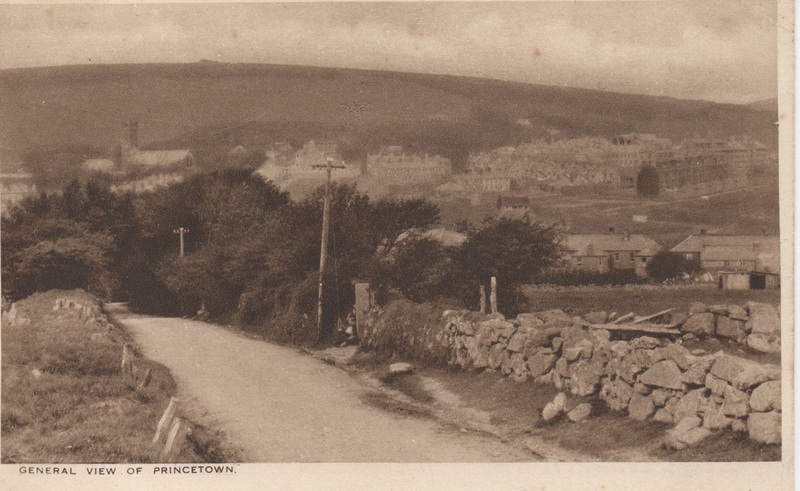 A view down Ivybridge lane on an undated card published by W. Willis, Princetown. Someone has dumped a pile of gravel in preparation presumably to make a better path. A hundred years later the same process has just been gone through again. An undated 'Bridge House, Real Photo Series' card. The serial number S.9075 looks remarkably similar in style to the numbering found on Smith's Kingsway series cards. A Chapman card, SN: 15852. A W. R. Gay's series card postally used in 1920. 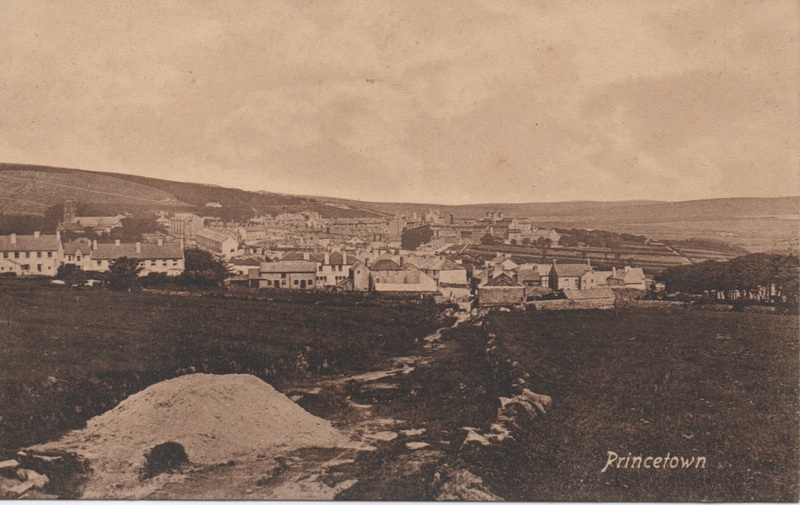 An undated card of Princetown from Tor Royal Lane. 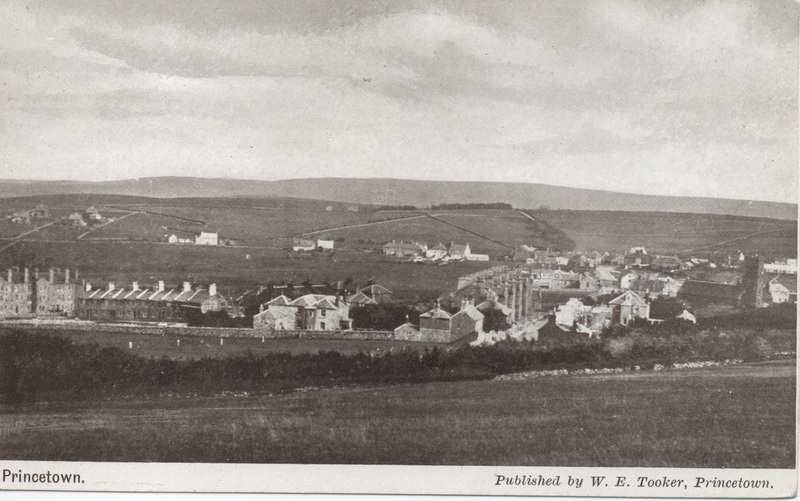 Published by Walter E. Tooker, Claremont Tea Rooms, Princetown, Devon. 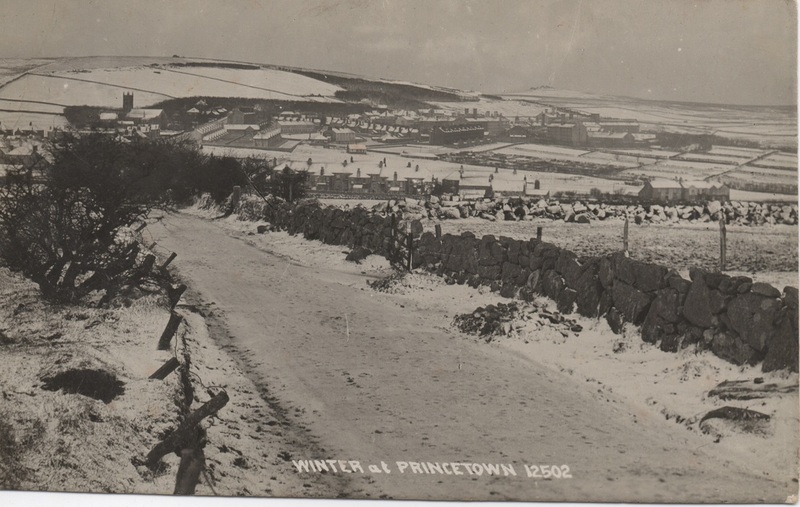 A wintery view down Tor Royal Lane on a Chapman card S/N: 12502. A Sweetman Publication postcard, postally used in 1953. An undated card from an unknown publisher. The reverse of the card is entirely blank. 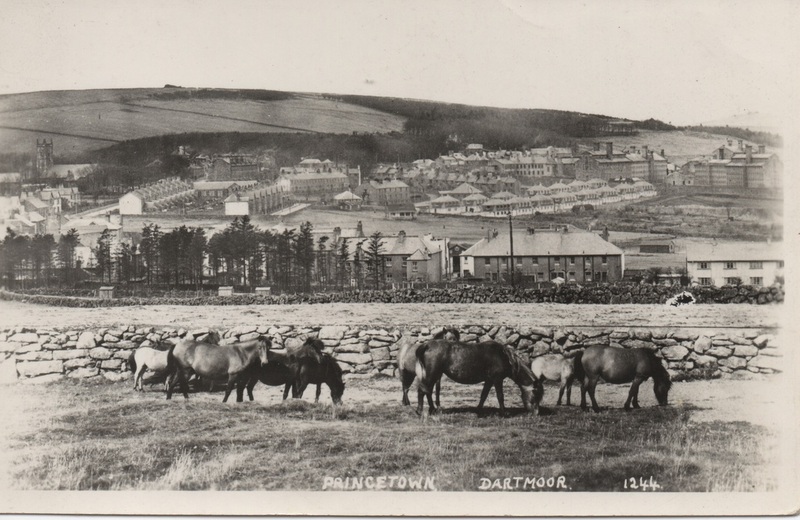 A card from an unknown publisher postally used in 1954. 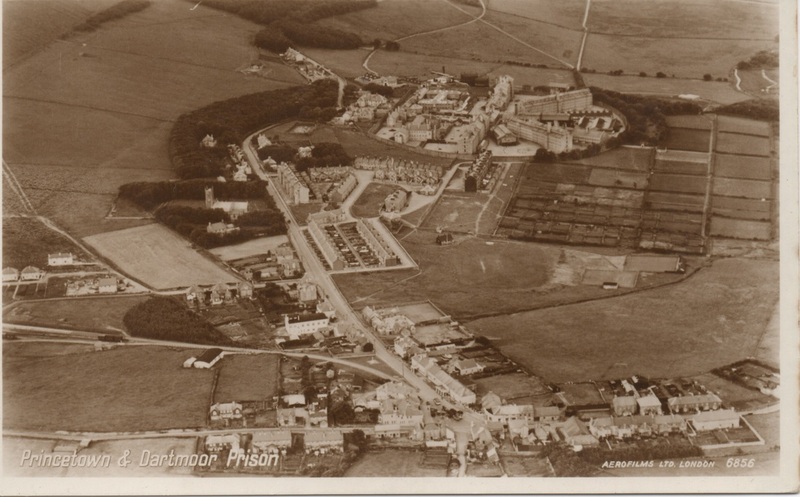 The recently built Blackabrook Avenue can be quite clearly seen to the right of the image. Half of this area was covered in Nissen huts during WWII and a last solitary one can be seen on the edge of the estate.